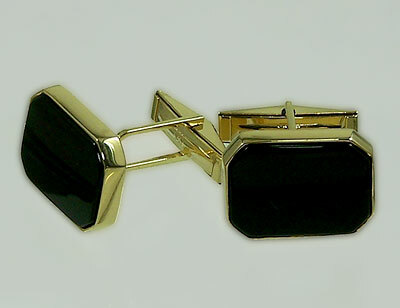 Make that suit really standout with these spectacular cuff links. Crafted from yellow gold and black onyx creates a style all of its own. Great gifts for the horseman in your family. Dimensions: 3/4 inch wide x 1/2 inch tall.